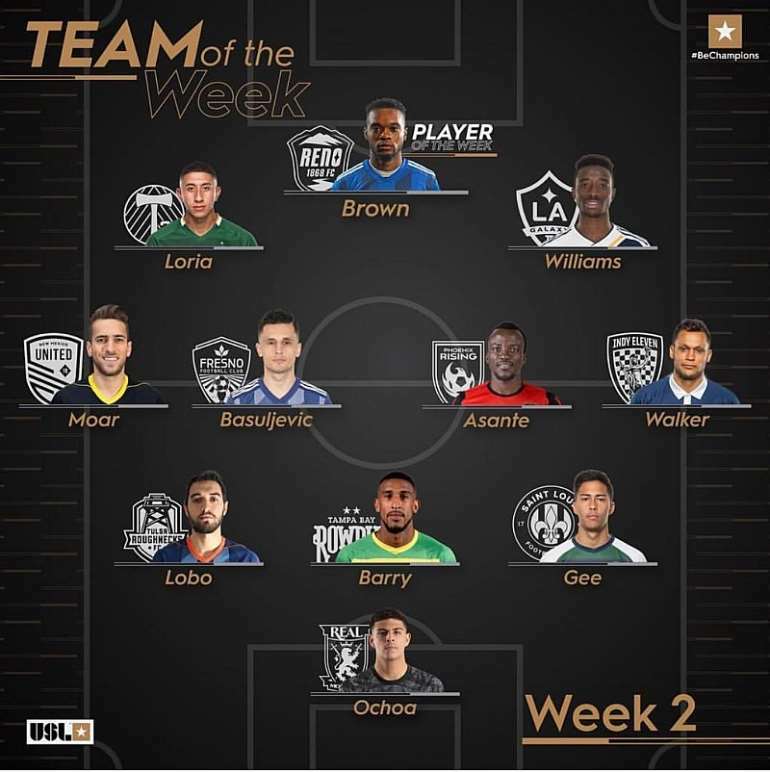 Ghanaian winger, Solomon Asante has been named in the American USL team of the week. The 27-year-old scored double for Phoenix Rising FC over the weekend. He put up an outstanding performance for his side to be named among the best 11 players for the week as announced by the league board. 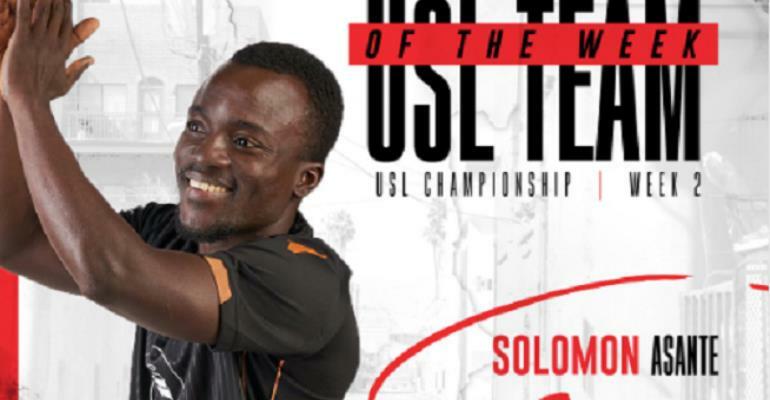 The former Berekum Chelsea winger enjoyed a fantastic debut campaign throughout the 2017/2018 season in the United Soccer League and looks ready to better his records after registering two goals and one assist in his first two opening matches for Phoenix Rising FC.